For faster scheduling, call us today to make your appointment! At Falls Clinic our goal is help as many people as possible experience life without relying on the use of drugs or surgery. Please feel free to explore our website and discover the wonders of a healthier lifestyle through chiropractic. If you happen to come up with any questions, simply click on the "email us" link or call us at 940.692.1522. Dr. Cartwright on the news talking about the Knee Restoration Program and the Neuropathy Reversal Program! 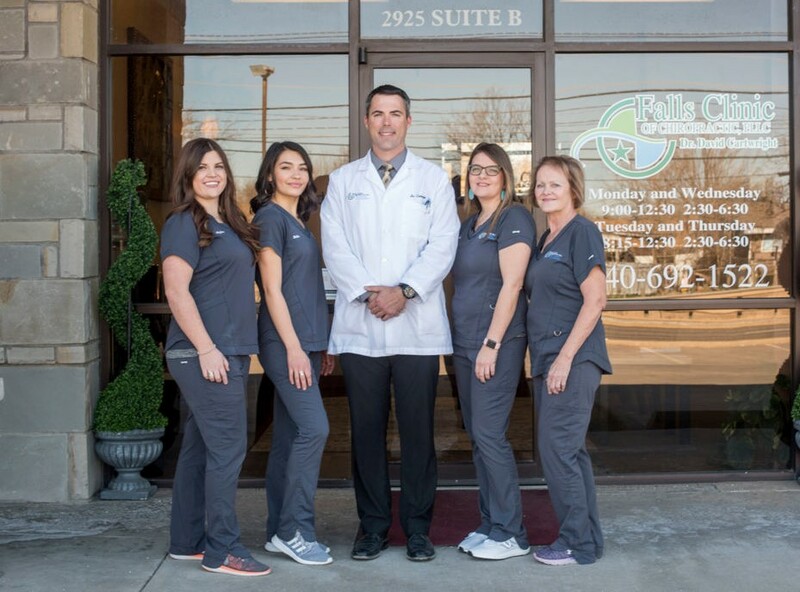 Located in the heart of Wichita Falls on Southwest Parkway, Dr. David Cartwright is one of the premier health care providers in the area. At Falls Clinic of Chiropractic we are dedicated to helping you achieve your health objectives. Combining skill and expertise, we have earned a reputation throughout Texas for getting results, even with the most difficult of cases. Our doctor is specifically trained and proficient in a little known, very gentle but highly effective chiropractic procedure called GONSTEAD that is proven to bring you better health and a better way of life. Chronic pain and suffering is something not to take lightly, and that is why we have committed ourselves to the highest standard of natural care possible. Don't take our word for it, come find out for yourself! To receive free wellness and health articles subscribe to our bi-weekly newsletter. If you are already a newsletter subscriber, please explore the member wellness section of our website for animated exercise videos, wellness articles, chiropractic resources, and health facts specifically targeted to your wellness needs and interests by Dr. Cartwright.